The land of adventures and surreal beauty, Himachal Pradesh is the dreamland for nature enthusiasts and mountain lovers. It is the spectacular abode of snow-capped mountains, cascading waterfalls, deep river valleys and hilly terrains. While honeymoon couples can wander in Shimla and Manali, solo travelers can find solace in Mcleaodganj and Kasol. No matter whether you are an adventure seeker or a nature lover, book Himachal Pradesh tour packages from Kolkata, Bangalore, Delhi or elsewhere at Excursion2India and embark on an exciting tour this season. The beautiful capital of Himachal Pradesh, Shimla, is one of the most attractive hill stations in India. During the British era, the city served as the summer capital of India. It is home to some spectacular colonial buildings like Christ Church and Viceregal Lodge. 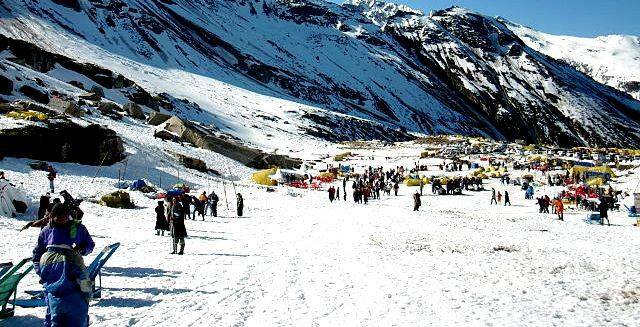 Situated in Beas River Valley, Manali is another popular hill station in Himachal Pradesh. It is the place to be for adventurous activities like mountain biking, trekking, river rafting, paragliding and climbing. Located on the edge of the Dhauladhar mountain range of the Himalayas, Dalhousie is a hill station surrounded by snow-capped peaks. The Britishers developed it as a summer resort for their troops during the tenure of Lord Dalhousie. Why Choose Our Himachal Pradesh Tour Packages? Day 1: Chandigarh – Shimla: Arrive at Chandigarh airport and straight away start for Shimla, nearly 2.5 hours drive. Check into a hotel on arrival in Shimla. After some relaxation, go to take a glimpse of the famous 17th century built Christ Church. Later on head to Mall Road and the Ridge. Do shopping on the Mall Road lined with shops on both sides. Have a wonderful dinner. Overnight in Shimla. 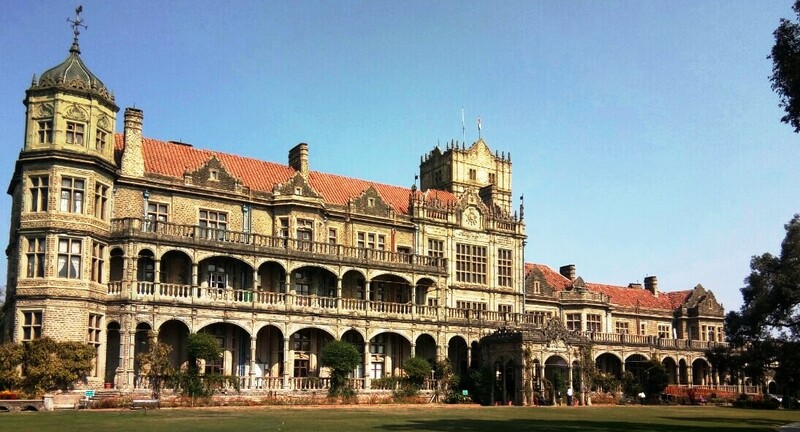 Day 2: Shimla: After breakfast, proceed for half day city tour visiting Indian Institute of Advanced Studies, which is housed in Viceregal Lodge, also called Rashtrapati Niwas. Go on to visit Sankat Mochan Temple and Jakhu Temple – temples dedicated to Lord Hanuman. Have lunch at one of the many restaurants in Shimla. In the afternoon, you are completely free to enjoy the breathtaking beauty of Kufri region. Take a horse ride to reach Mahasu Peak, the highest peak of Shimla region. If time permits, visit Fagu, a picturesque small village, and enjoy horse riding in the splendid apple orchids. Have dinner in the evening. Overnight in Shimla. Day 3: Shimla – Manali: Check out from the hotel, have breakfast and start for Manali, a drive of nearly eight hours. Check into a hotel on arrival in Manali. Have some relaxation. Take a walk around the hotel and acclimatize in the new surroundings. Have dinner. Overnight in Manali. Day 4: Manali: Start for a half-day excursion to Rohtang Pass, an area one may get snow even in Summer. On the way back visit Solang Valley, a hub of adventure sports like paragliding. Solang Valley is the best place to experience skiing during winter. Have dinner and retire to the comforts of your room for an overnight experience. Day 5: Manali: After early breakfast start for an excursion to Manikaran, a drive of around 2.5 hours from Manali. On the way visit Kullu Valley where guests have the option to explore White water rafting. During evening visit hot springs, temples and Manikaran Sahib Gurdwara. Have dinner and overnight in Manali. Day 6: Manali – Dharamsala: Check out early and visit Hadimba Temple. Return, have breakfast and start for Dharamsala, a drive of more than seven hours. On the way, you can stop at Baijnath to see the famous Shiva temple. You can also stop at Palampur, famous for Tea Garden. Check into a hotel in Dharamsala. Overnight in Dharamsala. Day 7: Dharamsala: After breakfast go on to visit places in and around Dharamsala. Most important place is Mcleodgunj, headquarter of the Tibetan government in exile. Have a look at Tsuglagkhang, the residence of His Holiness Dalai Lama. Make a point to visit St. John’s Church in Wilderness (Built in 1853), War memorial, Bhagsunath Temple and Dal Lake. Visit Norbulingka Monastery and Kangra Fort. Have dinner after an exhausting full day sightseeing of Dharamsala and nearby places. Overnight in Dharamsala. Day 8: Dharamsala – Dalhousie: Check out from Dharamsala and drive to Dalhousie. This is a drive of nearly 3.5 hours. Check into a hotel on arrival in Dalhousie, a hill station named after Lord Dalhousie, British Governor-General. Dalhousie is surrounded by varied vegetation – pines, dodders, oaks and flowering rhododendron. After arrival, go on to visit Panchpula (literal meaning five bridges), a popular tourist place where you can see rippling streams and nice environment. On the way back visit Satdhara falls, a gorgeous waterfall that is named after the seven springs in the region. Have dinner and overnight stay in Dalhousie. Day 9: Dalhousie: After breakfast head for Khajjiar, located 24km away from Dalhousie. You can enjoy in numerous activities in Khajjiar, often referred to as the ‘Mini Switzerland’ of India. Khajjiar is located at the base of the Dhauladhar mountains. You can get a panoramic view of the ranges from the hill town. Also visit the famous Khajjiar Lake and the Khajji Nag temple. Go on to visit Chamera Lake, a destination for water sports in Dalhousie. It is a major source of water supply for the villagers and is continuously fed by Ravi River. If time permits, you can visit Chamba also. Return to Dalhousie. Have dinner. Overnight in Dalhousie. Day 10: Dalhousie – Amritsar: Check out from the hotel in Dalhousie after an breakfast and start for Amritsar. This is a drive of around seven hours. Check into a hotel on arrival in Amritsar. On arrival, get fresh in the hotel and visit the Golden Temple for the evening ceremony when Granth Sahib is returned to the room. Immerse in the spiritual environment of the Golden Temple. After spending some lovely time, return to your hotel. Have dinner and retire to your room for a comfortable sleep. Overnight in Amritsar. Day 11: Amritsar – Onward Destination: Go to check out Jallianwala Bagh, the historic place where a lot of unarmed Indians were killed by an unprovoked firing done on the orders of General Dyer, a British Army General, in 1919. After paying homage to the innocent lives that were killed that day, return to the hotel. Have breakfast. Check out from the hotel afterwards and drive to the airport. Take a direct or a connecting flight to your onward destination.